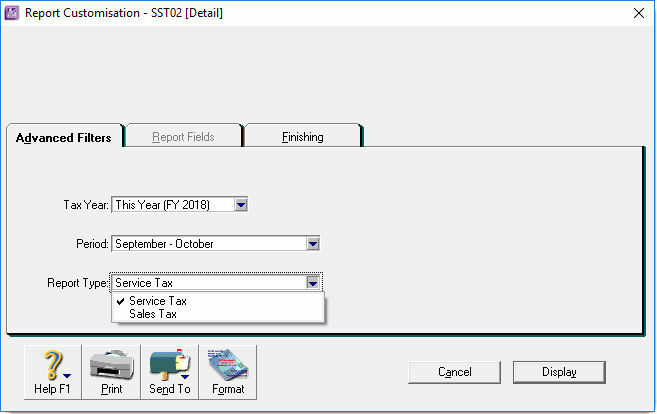 “Sales & Service Tax” replaces the existing “Sales Tax” tax type. 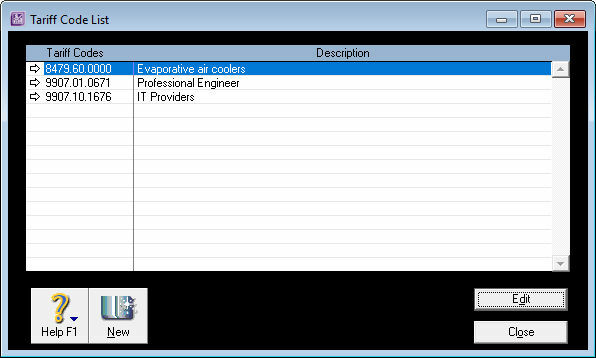 SST Code “Select from List” is a recommended list of localized SST codes that enable linking to SST-02 for reporting. ABSS Accounting and Premier provide a default set of tax codes list that are mapped to related SST code. Part of SST returns requires users to provide the tariff codes of their taxable products. ABSS have therefore added the ability for users to create tariff codes to comply with this requirement. Only these 2 layouts can be used because the tariff codes are linked to item information. 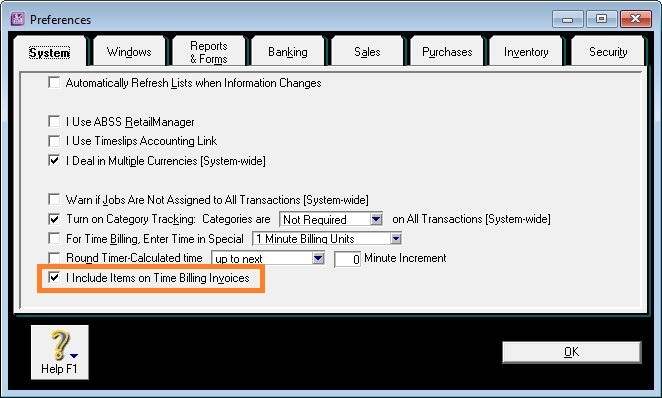 If you use Time Billing layout, be sure to turn on “I Include Items on Time Billing Invoices" in Preferences. 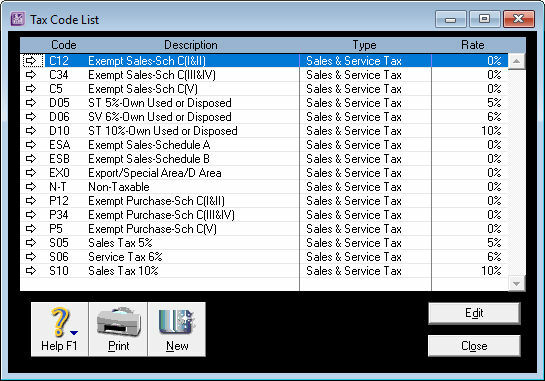 New invoice templates for Sales Tax and Service Tax have been added. 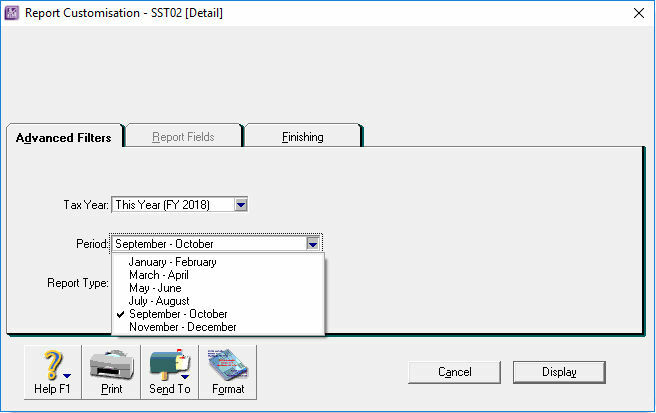 SST-02 Detail Return report generated in ABSS closely follows the SST-02 form of custom department. 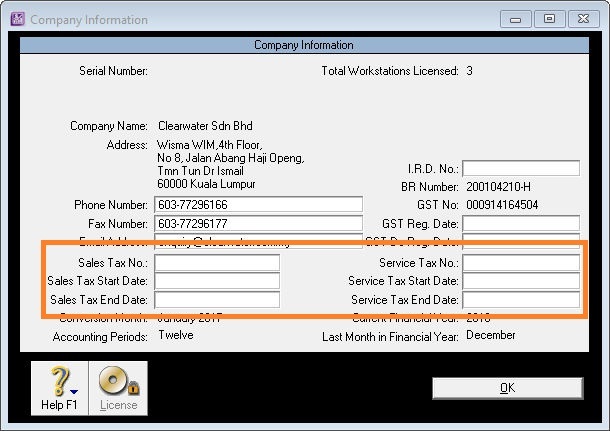 Some sections such as Penalty amount is left out in this report as it is auto calculated on custom's portal at the time of submission. Section C for reporting goods under schedule 2 is also not included as it is specific to oil and gas industries. 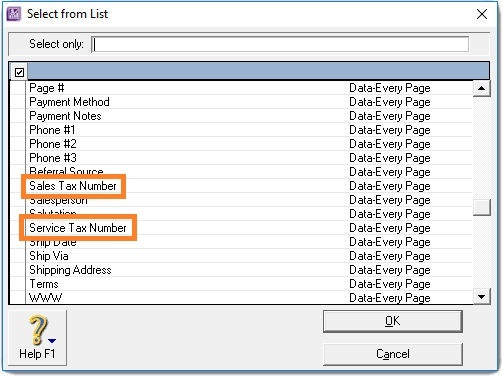 “Do Not Re-Number Receipts” is automatically selected when user logs in to the system. Total field formula will now include the first row data. Number of maximum lines exported to Excel has been increased from 16,000 to 65000, which is near to MS Excel limitation. All non-activated trial data and sample data files (Clearwtr.myo) now carries a limit of maximum 800 transaction lines for trial purposes. 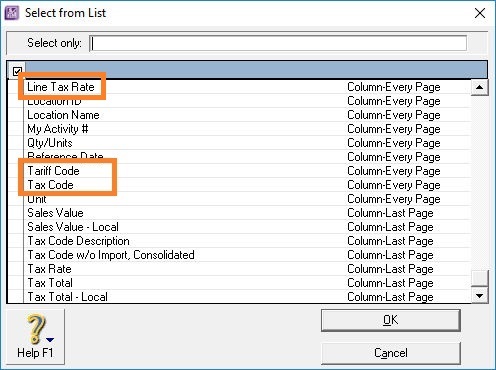 Once the limit has been reached, the trial data file will automatically become READ ONLY. To continue using that file, user will need to activate it. 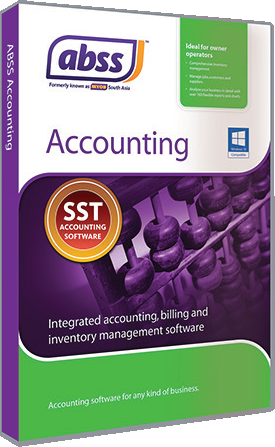 Interested in ABSS, but not sure if it is the right solution for you? Want to try out ABSS for your self? 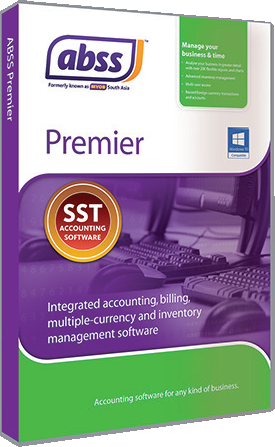 Request a free trial version download. If you are using an older version, you can upgrade to this version.